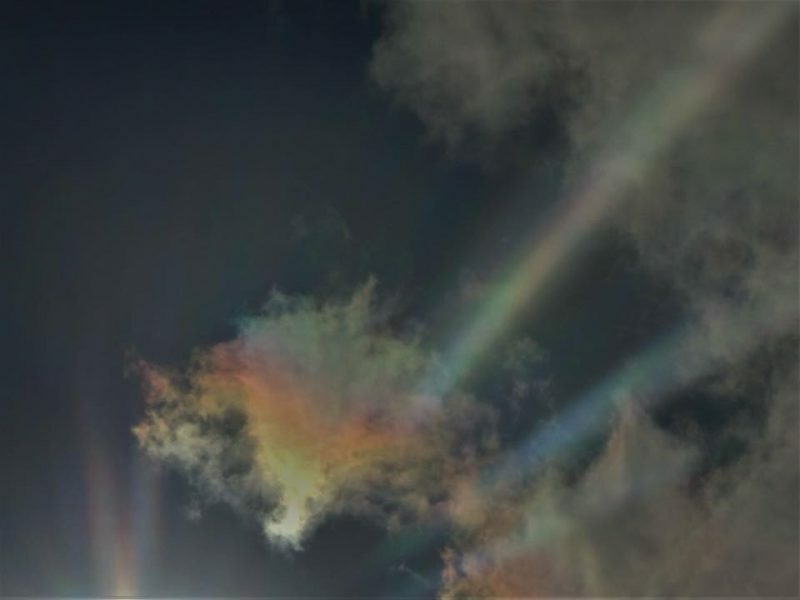 You’ll see a true iridescent cloud when the sun is nearby. The colors will appear randomly distributed. Here’s one with beams of light – crepuscular rays, or sunrays – appearing to shoot from it. Richard Kelley posted this photo at EarthSky Facebook on November 26, 2018. Thanks, Richard! Read more: I saw a cloud with rainbow colors. What causes it?